The newly Elected Catholic Association of Miao Diocese met at the new Bishop’s Hosue in Miao on 23rd June, 2014 to take stock of the situation in the Diocese and to plan ahead for the future. Bishop George, who always acknowledges the role of the laity in the growth of the Diocese, convened the meeting of all the newly elected members of the Catholic Association of Miao Diocese. 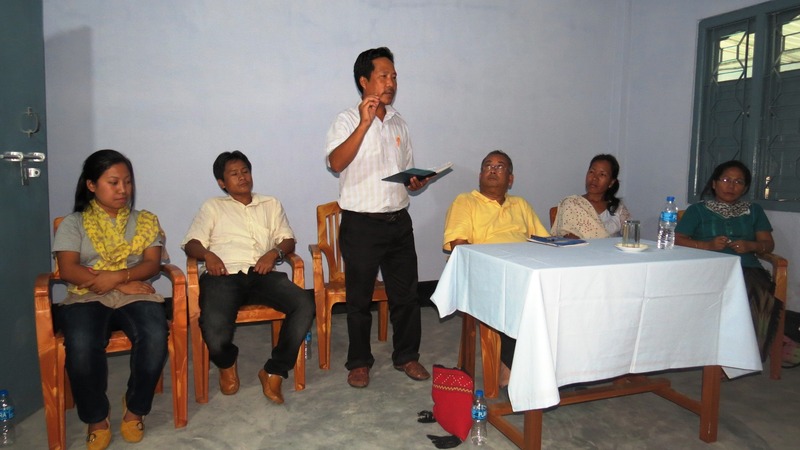 The President and Secretaries of the Men, Women and Youth Commission of the Diocese constitute the Governing Body of the Catholic Association of Miao Diocese. Bishop George, thanking the outgoing members, congratulated the newly elected representatives of the Association. They discussed on the various issues and challenges that are there in the Diocese and planned for the year ahead for the smooth running of the Association.